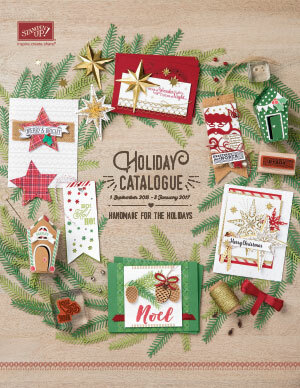 Firstly, a reminder that the Autum/Winter Catalogue is finishing on July 31st so if there is anything you need, place an order before the month end. You can order from me without having a party, simply let me know what you want and I can have it shipped straight to you. August 1st will see a Retired List of Products that will be available for purchase before the new Catalogue is released on 1st September. 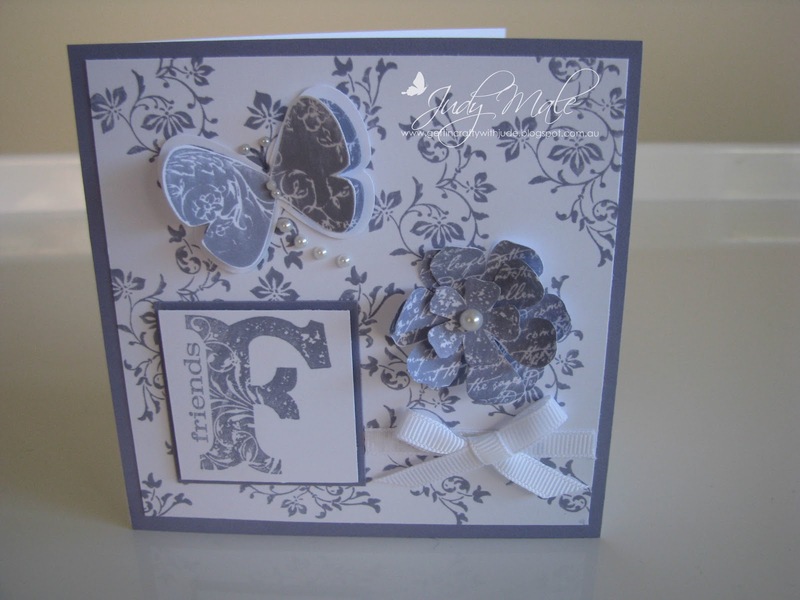 This card was made using the Vintage Vogue stamp set (118598 clear or 119191 wood). 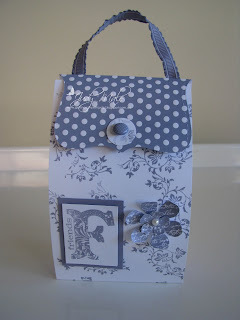 I love this set and thought I would show you both the card and the gift holder I created. The gift holder can be used for a gift voucher or perhaps a block of Chocolate, or any sweet treats in a cello bag inside. If you would like to know how I made either of these, please contact me and I will be happy to show you, or we could do a workshop presentation showcasing them. The BEST Starter Kit Promotion EVER! Stampin' Up! often runs fabulous monthly promotions. But the best promotion of all runs all year round...How would you like to choose $235 worth of Stampin' Up! goodies for only $169...PLUS free shipping? 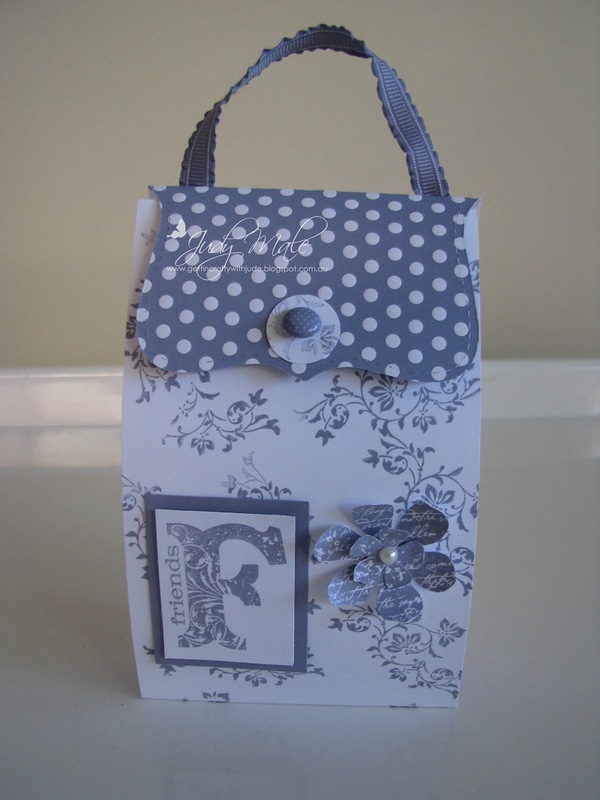 That's what you'll get if you join Stampin' Up! The Starter Kit is now completely customisable..... so you can choose any mixture of products from any current catalogue. A NEW Release: For those of you who have the Simply Scored Scoring Tool and the Metric Scoring Plate, you can now purchase the amazing Diagonal Plate for $20.95 to complete your set. Imagine being able to make all your envelopes to add that extra special touch to your handmade cards. The other night, a group of my demonstrator friends got together and made a very pretty card and then the envelope to match. By making two envelope shapes, one being just a little smaller, we were able to have a matching coloured paper lining in the envelope. It looked amazing. Have a look at the video below and see for yourselves how this diagonal plate can work for you. Would you like to join me at the Stampin' Up! Regionals? It will be held here in Melbourne on Saturday 4th August. The cost is $120.00 and what you get is a day of creative fun with lots of demonstrators and their guests. A set of stamps will be provided to do some make and takes and lunch is also included. We are all going to make a card, using current products to take along with us. These will be displayed on boards and we will be able to take photos of all the new ideas to use as inspiration to share with our clients and friends. Please contact me if you would like any more details.